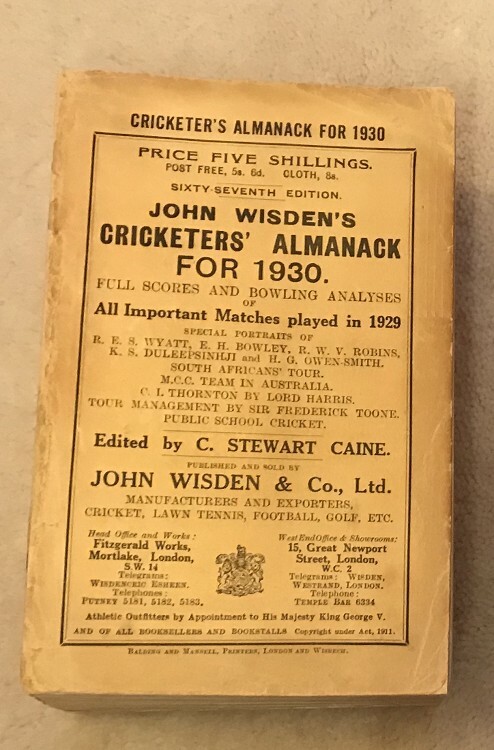 This lot is an Original 1930 Wisden Paperback. The covers are nice, there is a touch up to the odd corner but nice for their age, the spine paper is complete again with touch ups hence it is very tightly bound, some thumbing at the top but nice inside with a great photoplate. Postage: £9 - Covers Special Delivery & Jiffy Bag to UK.